Jacksonville Parks & Recreation will host the 61st Annual Christmas Parade on Saturday, December 8, 2018. This nighttime parade features illuminated floats and the featured guest, Santa, along with parade favorites: marching bands, floats, dance groups and the fire department. The parade will begin at the corner of Sharp and Main Street and will end at First United Methodist Church on Main Street. Admission is FREE! To participate in the parade, download an entry form here. Entry fee is $25. Awards will be given in several categories. 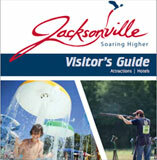 For more information call (501) 982-4171 or visit www.cityofjacksonville.net.